Every Saturday morning, Maria do Carmo Tunussi goes door to door asking her neighbors to scour their houses and yards for flowerpots, buckets, clogged gutters—anything that could collect water and offer mosquitoes a place to breed. For 17 years, Tunussi has been a community health agent at the local clinic in CECAP, Eldorado, a district of about 5,000 people in the small city of Piracicaba, 2 hours northwest of São Paulo, Brazil. She has seen many surges of the mosquito-borne dengue virus, which causes fever, nausea, and agonizing joint pain. The task sometimes feels futile. Last April, CECAP became the first neighborhood in Piracicaba to try something new – a mosquito control tool that Tunussi believes not only stamped out dengue, but kept the Zika virus from taking hold. That tool is OX513A – a strain of transgenic Aedes aegypti mosquitoes designed to reduce the population by passing a lethal gene to their offspring. In Florida, a planned release by Oxitec, the company behind the insects, is mired in public resistance. But here in Piracicaba, few residents seem to bat an eye at the little clouds of mosquitoes spilling out the window of the Oxitec van on its slow morning route. That may be because dengue is so common here. The virus sickened about a million and a half people in Brazil last year, and more than 1,600 in Piracicaba between July 2015 and July 2016. Panic over the spread of the Zika virus has only amplified interest in solutions beyond pesticides, which aren’t all that effective against A. aegypti, and breeding site removal, which, despite Tunussi’s efforts, is hard to keep up year after year. So it’s not surprising that, 7 years after releasing the world’s first genetically modified (GM) mosquito, Oxitec has chosen Brazil as the site of a major scale-up. It is moving from small-scale pilot projects like the one in CE CAP to planned releases covering tens of thousands of people. Indeed, Brazil is becoming a proving ground for tailored mosquitoes. About 600 kilometers to the east, in the coastal cities of Niterói and Rio de Janeiro, another lab strain of mosquitoes is on the wing. Bred by a nonprofit organization called Eliminate Dengue, this one is infected with a bacterium called Wolbachia pipientis that protects it from infection with dengue, Zika, and a third virus named chikungunya. Most scientists are confident that both mosquito strains are safe for humans and the environment. But the two projects are radically different in both their scientific approaches and their funding models. Whether either one can actually reduce rates of mosquito-borne disease is still an open question. And if either proves effective, Brazil and many other developing countries will face one more question: Does buying and releasing billions of mosquitoes make economic sense? Oxitec’s Brazilian headquarters, in the industrial city of Campinas, stinks of the soggy fish food used to feed mosquito larvae. Here, the company can usher about 4 million mosquitoes a week through their life cycles: from an ashy powder of eggs to writhing gray strands of larvae, then dense black pupae the size of rice grains, and, finally, flying adults bouncing around in plastic tubs the size of take-out containers. They are roughly the 200th generation of descendants from a single mosquito created 14 years ago in a University of Oxford lab in the United Kingdom, where geneticist Luke Alphey and his team inserted a new gene into insect embryos. It codes for a protein known as a transcriptional activator, which drives the expression of other genes by binding to DNA and certain proteins involved in transcription. But the gene Oxitec uses, known as tTAV (tetracycline-repressible transcriptional activator variant) is designed to drive the expression of even more tTAV in what becomes a fatal feedback loop. How the process kills mosquitoes isn’t entirely clear; the excess tTAV protein may tie up the cell’s protein production machinery. “It basically causes genetic havoc, and the organism dies,” says Al Handler, an insect geneticist at the US Department of Agriculture in Gainesville, Florida. Oxitec mosquitoes bearing the lethal gene grow up feeding on tetracycline, an antibiotic that blocks tTAV activity and keeps them alive. Males, which don’t bite humans, are released in towns and cities, where they mate with wild females. Their offspring quickly accumulate the lethal protein, and the vast majority die before maturing. Alphey focused on A. aegypti in part because it’s the principal transmitter of dengue, a major global health problem. Malaria, although a greater burden, is carried by multiple Anophelesspecies, making genetic control more difficult. Aedes is also easier to rear, exists at low population densities that seemed easier to cut down, and, compared with other mosquitoes, is harder to control with measures such as bed nets, Alphey says. Picking Aedes also made business sense. It is prevalent in middle-income countries like Brazil that could potentially afford to evaluate and regulate the new product – and, eventually, to buy it. Alphey spun out a company in 2002, backed by private venture capital firms and Oxford. Last year, the US synthetic biology behemoth Intrexon Corporation purchased Oxitec for $160 million. Oxitec has built up scientific evidence – and a business case – through field trials in countries where regulators were friendly to experimental releases. The first, in the Cayman Islands in 2009, was largely unknown to the world until Oxitec shared results, and it stirred criticism that the company had rushed a GM organism into the field without properly consulting the public. But the results were encouraging: Oxitec reported roughly a 96% reduction in the mosquito population in the tiny 0.16-square-kilometer release area. Oxitec also did field tests in Panama and Malaysia, and it put down roots in Brazil through an academic collaboration with the University of São Paulo and the nonprofit research facility Moscamed. Between 2011 and 2013, the team released Oxitec mosquitoes in three neighborhoods in the northeastern state of Bahia. It reported at least 90% population reductions in all three. Lab-reared mosquitoes are designed to have inviable offspring or block pathogens. But the collaboration was rocky. Oxitec provided the mosquitoes and its expertise, but funding for releases and data collection came primarily from Bahia, and collaborators clashed over how involved the company should be in the research. An independent evaluation of the product would have been more valuable, says Margareth Capurro, a University of São Paulo, São Paulo, biochemist who co-led the project. “We [fought] for a year because they wanted to be first and last authors.” Andrew McKemey, Oxitec’s head of field operations in Abingdon, UK, says company scientists were rightfully included in the papers they helped produce. As he explains the project, Mello scribbles figures on printer paper and punctuates his points with underlines, then hastily crumples the sheets. This is no academic collaboration; Mello’s department is investing in a potential solution to the city’s mosquito problem. Because Oxitec doesn’t have market clearance from Brazil’s National Health Surveillance Agency yet, the city’s payments are classified as a “contribution” to the project. Releases began in CECAP last year and are now expanding to 10 downtown neighborhoods, encompassing 12 km2 with nearly 60,000 residents. 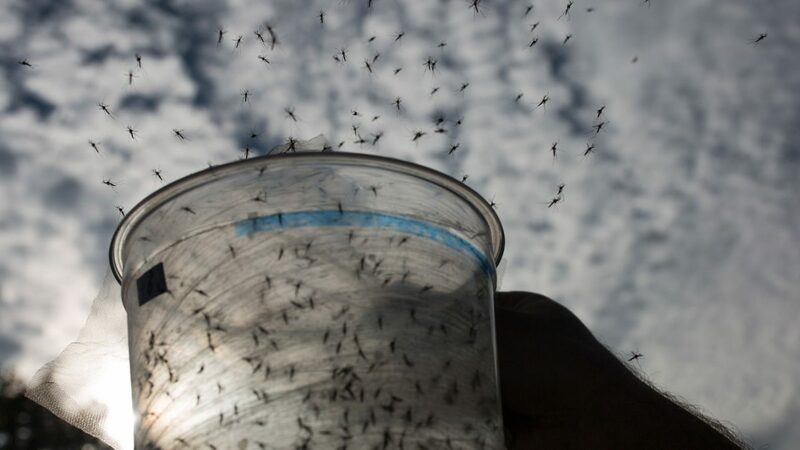 To make that possible, Oxitec is setting up a new facility just outside town, where it hopes to produce about 30 million mosquitoes a week by this fall, then scale up to 60 million – 30 times the current production at its Campinas site. That’s far beyond what Oxitec needs for Piracicaba, says Glen Slade, director of the company’s Brazilian subsidiary in Campinas. Slade says he is in “advanced discussions” with other municipalities. If Oxitec’s mosquitoes are on a suicide mission, Eliminate Dengue’s are missionaries, designed not to wipe out wild mosquito populations, but to transform them. On a drizzly morning in the Niterói favela of Jurujuba, the research team spreads out across hillsides of crumbling concrete to restock egg release containers, which about 130 households here have agreed to host. The white plastic tubs are hidden like oversized Easter eggs – under stairwells, beside doorsteps, in an alcove behind a pile of plywood and old bicycle parts. The adults that escape from the tubs carry Wolbachia, a parasite thought to occur naturally in about 60% of all insect species. It wasn’t until 2005 that researchers coaxed the bacterium to take up residence in A. aegypti. Then the co-founder of Eliminate Dengue, medical entomologist Scott O’Neill at Monash University in Melbourne, Australia, discovered that Wolbachia-infected mosquitoes fed blood spiked with dengue or chikungunya were much less likely to test positive for the virus (and to transmit it) than controls. Earlier this year, researchers from the Oswaldo Cruz Foundation (Fiocruz), the national public health institute that collaborates with Eliminate Dengue in Brazil, reported similar results with Zika. Researchers suspect that the parasite competes with the virus for limited resources inside mosquito cells; Wolbachia may also activate its host’s immune system, helping it fight subsequent infections. Because Wolbachia is only passed to offspring through eggs, spreading it requires the release of females, which can bite. But because of the bacterium, the females pose no transmission risk, O’Neill says. Eliminate Dengue has released mosquitoes in more than 40 areas in Australia, Vietnam, Indonesia, Colombia, and Brazil, funded largely by grants from the Bill & Melinda Gates Foundation. Studies showed that the parasite can spread to the point of “fixation” over the course of 10 to 20 weeks, and remain in the population for at least 5 years. Eliminate Dengue aims to make a permanent change to a mosquito population and move on – a key difference from Oxitec’s solution, which would have to be applied year after year, lest the population rebound. But both approaches have only local effects; Wolbachia does not spread much beyond the area where it’s unleashed. Brazil is one of several countries where Eliminate Dengue is testing a scale-up of releases in urban areas. It has presented unexpected challenges. A few weeks after the first release, Fiocruz’s Luciano Moreira saw a drop in the percentage of Wolbachia-infected mosquitoes. It turned out that the lab strain, which had never been exposed to insecticides, was so much less resistant to them than wild mosquitoes that it couldn’t compete in the heavily sprayed release area. The team spent 3 months crossing lab mosquitoes with wild ones – actually driving up their resistance – until they matched the hearty natives. Another complication is that certain neighborhoods that might host future releases are dominated by the drug trade. Visiting one of them in Niterói felt “like something out of a science fiction movie,” O’Neill says. “We had to wind our windows down so that people could see us in the car as we drove in. There was a horse with a big gash down its side that was being used for transport and bullet holes in all of the walls at ground level,” he says. The looming question for both projects is simple – do these disease-fighting mosquitoes actually reduce disease? “The goal here is not to kill mosquitoes. It’s to prevent people from getting infected and sick and dying,” says Thomas Scott, an epidemiologist and insect ecologist at the University of California, Davis. So far there’s no proof that either approach does that. It may seem intuitive that fewer infectious mosquitoes mean fewer infections, but just a few A. aegypti may be enough to transmit disease through a susceptible population, Scott says. The last word on efficacy would come from trials that monitor disease in residents of neighborhoods randomized to receive mosquitoes or act as controls. These two groups are inherently leaky, because people are mobile; that means such studies have to be large – and costly – to be meaningful. In March, a World Health Organization working group chaired by Scott deemed both Oxitec’s and Eliminate Dengue’s strategies worthy of “carefully planned pilot development” but called for large epidemiological studies. Eliminate Dengue already has an efficacy study underway in Yogyakarta, Indonesia, which will track disease rates in 24 areas of about 14,500 people each, half of which will receive Wolbachia mosquitoes. A network of clinics across the city is testing continuously for dengue over 2 years. An even larger study is being planned in Vietnam. Oxitec, meanwhile, is enlisting independent experts to design a trial tentatively slated for 2018. Over the long term, both kinds of modified mosquito could lose their edge, because evolutionary pressure could select for resistance to either Oxitec’s lethal gene or Wolbachia‘s virus-fighting powers. Even if either type of mosquito – or both – proves a success, there’s still the issue of the cost. Not every community in Brazil will likely be able to afford mosquitoes, which raises new questions, says Fred Gould, an insect geneticist at North Carolina State University in Raleigh. The Fiocruz facility makes about 40,000 Wolbachia-infected mosquitoes a week to supply roughly 300 release containers, but a new facility will have a capacity of about 12 million a week. Eliminate Dengue was not able to provide an estimate of current costs in Brazil, but aims to bring them down to $1 per person or less. Oxitec’s mosquitoes are currently more expensive. The Piracicaba expansion will cost the city roughly $1.1 million over 2 years – some $10 per person in the treated area – about half of which will come out of the existing mosquito control budget. Oxitec itself is paying even more than that, says Slade, but it’s too early to tell how much the mosquitoes will cost if they are reared on a much larger scale. Oxitec’s plan to sell the mosquitoes before the epidemiological evidence is in troubles some scientists. “They’re good salesmen—that’s the bottom line,” says population geneticist Jeffrey Powell of Yale University. “They go out and they talk to the people in various countries saying, ‘We’ve got this magic bullet. '” And the need for continuous mosquito releases is a serious economic downside, adds molecular entomologist Marcelo Jacobs-Lorena of Johns Hopkins University in Baltimore, Maryland. “It is a forever proposal,” he says. “I personally don’t accept that without [an epidemiology study], we don’t have the evidence that this is the best tool,” he says. Eventually, other alternatives will hatch. In Margareth Capurro’s São Paulo lab, larvae from new transgenic strains line the shelves. She, like a handful of other researchers, is betting on so-called gene drives, which bias the inheritance of a particular gene to quickly and irreversibly spread it through the population. Capurro is working on a gene allowing mosquito cells to recognize an enzyme produced by the dengue virus and release a self-destruct signal. Such strategies may be more difficult to get approved because they would make an entire wild population transgenic. Oxitec’s transgenic males and their offspring die within days, which has gone a long way to appease GM-wary regulators, says entomologist Zach Adelman of Texas A&M University, College Station. In the long run, Adelman and Capurro envision a time when public health departments can shop for a strain of disease-fighting mosquito that makes the most sense for them. Some may want an inexpensive option that doesn’t require indefinite releases, for instance, whereas residents in some areas may be uncomfortable with biting females. Some may want to combine approaches – knocking the population down before introducing a new gene. “You’ll have a market rather than one game in town,” Adelman says. Piracicaba does not want to wait for that market – or even for more definitive evidence that Oxitec’s mosquitoes work. Being the first city in Brazil to pay for an experimental disease-fighting mosquito was a calculated risk, Mello says. It’s good to see the various approaches making progress. In some respects Oxitec is at a disadvantage because they use genetic engineering so have become the target of activist NGOs (non-governmental organizations) whose business model seems to be preying on people’s misunderstanding of genetically modified organisms (GMOs) to elicit donations. Many of those NGOs also receive funding from the organic food industry – which profits from (scientifically-unjustifiable) fear of GMO food. All the available methods should be tested because nature/evolution has a tendency to reduce the effectiveness of any technology over time as has happened with resistance to insecticides. For example, the Asian Tiger Mosquito, Aedes albopictus, contains two natural Wolbachia strains yet it is highly capable of transmitting Zika, dengue and other viruses. Wolbachia bacteria are known to change within their host insect so it’s possible that the artificially-infected Eliminate Dengue mosquito could after some time, regain the capacity to transmit the viruses. Having multiple options to fight the dangerous Aedes aegypti mosquito is a good thing.